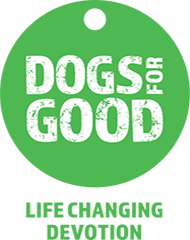 We provide the very best dog home boarding near you in South Norwich and the surrounding areas. Dogs deserve a holiday too! 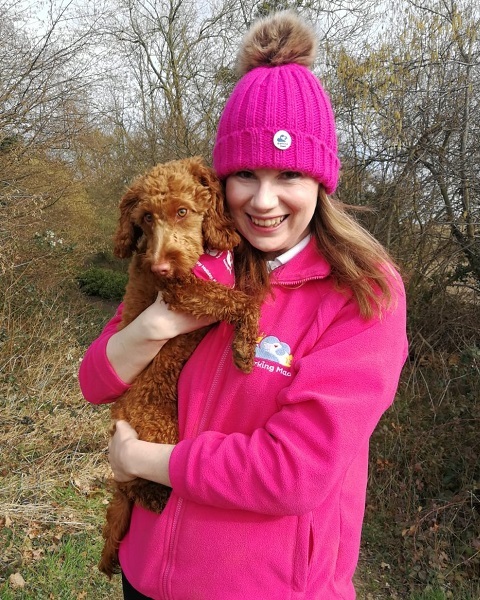 Hello I’m Helen Tyler and I am so excited to be part of this bespoke dog sitting service. Here at Barking Mad South Norfolk, I am extremely proud of our dog home boarding service and believe it offers the perfect alternative to kennels. 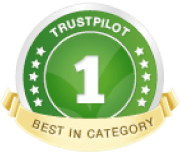 I first saw the rewards of this 5 star dog boarding service as a customer myself with our family dog Billy. It was just so wonderful to see him come home happy and relaxed, knowing he had been looked after like a member of the family. This fantastic pet-sitting service just took away all the stress around finding suitable care for the furry member of our family. As a family, we also loved the idea of Billy enriching someone’s life who couldn’t have a dog full-time. This inspiring idea also gave my wife and I the idea of becoming hosts ourselves. Having relocated to South Norfolk in 2015, we were both working hard as teachers so it just wasn’t possible to fit a dog into our hectic routine. Our time as hosts gave us such a purpose in our holidays and weekends. There is nothing quite like having a wet nose and waggy tail in the house. After joining Barking Mad in March 2018, our little furry addition to the family wasn’t far behind! 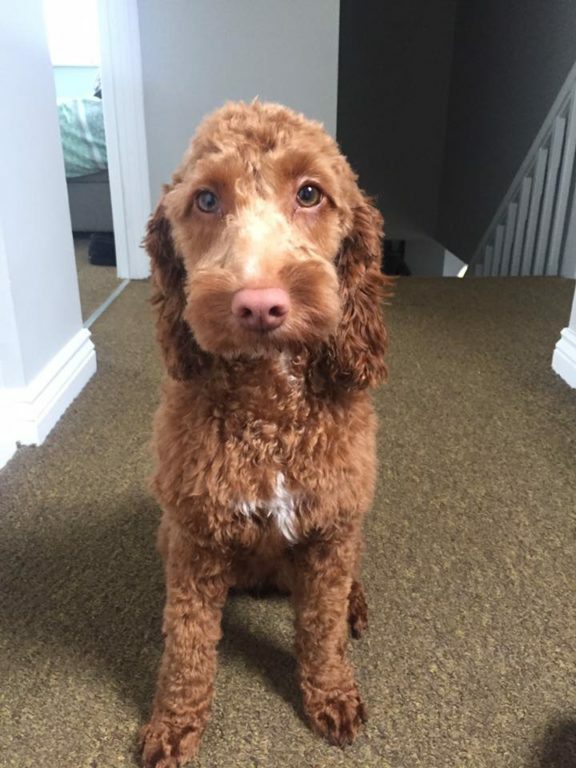 Nellie the Cockerpoo is now the official mascot of our dog home boarding service in South Norfolk. Of course whenever I go away, Nellie stays with one of my wonderful host families and has a fantastic holiday too. Why should us humans have all the fun on holiday- dogs deserve one too! I look forward to meeting you and your lovely doggies very soon so please do get in touch to talk about your dog-sitting needs. We also would love to hear from anyone who is missing a dog in their life and is interesting in becoming host. Along with Nellie and I, we have a dedicated team at Barking Mad South Norfolk. Jess is the newest member of the team and fully committed to our 5 star pet-sitting service. 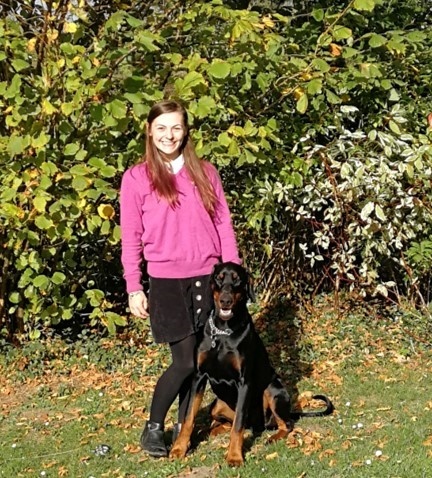 Her lovely Doberman Reggie also helps out when he can.